As my username may suggest, I am a new developer on the scene. I have little experience, other than a class 142 pacer redesign. My latest project is some class 150 sprinter trains, along with a route, which brings me to the title. A few weeks ago, I begun a project route, to test the water for a larger project. 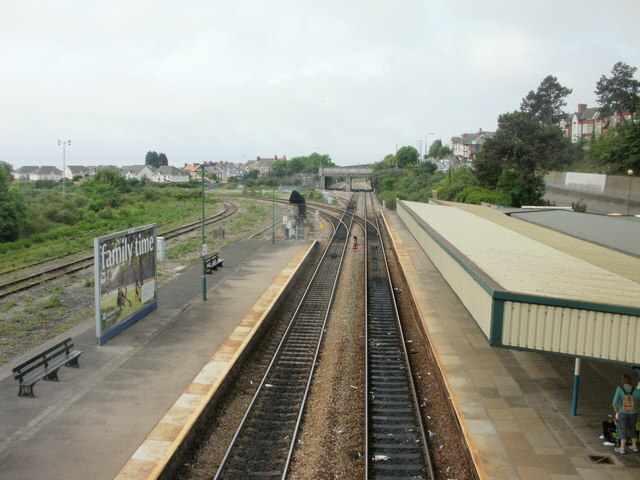 This smaller project is the route from Barry Docks station to Barry Island station. It is just shy of 3 kilometres long. This is still very much WIP, but I thought I would release some images to the world. 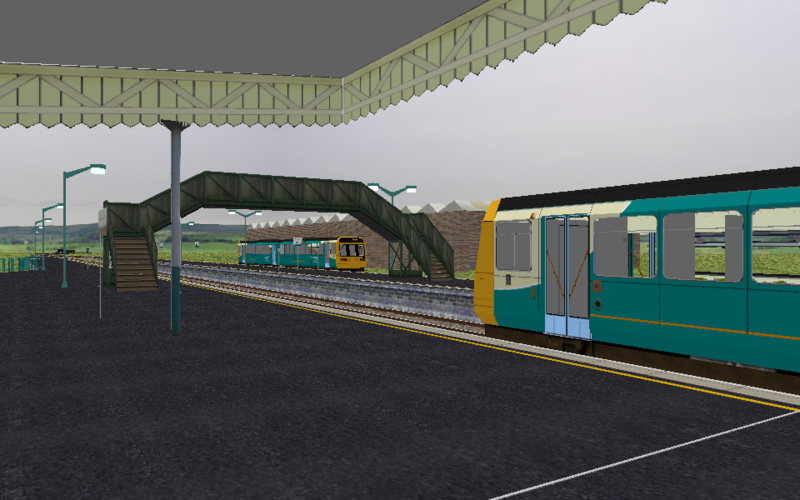 The below pictures show Barry station in real life, and OpenBVE with a class 150 of my own creation. Some feedback on this would be appreciated. Long time no see! This is looking excellent. Indeed it is extremely good! I haven't really ever heard of a developer jump straight in from starting off, to making train models, to making fully fledged routes so quick! I am still on Hmmsim Rutas Y Trenes, and yes I did put this on there too. If you must know, they still are annoying, but less so after a series of rants that me and Sachin had at them. They respect the copyright after that. Thanks for the comment, Dexter. I appreciate it. Yes I've had a quick learning curve, I stress build you see. Exams making me stressed, stress making routes. Textures are on the agenda to fix, and the poles were a quick bodge. I will fix them at some point. You'll get there! It's a good start and practice will only make it better. When will that MSTS converted Class 150 be available cos that look dank! He is not affiliated with BVETube, and we are not currently working on it because we are focusing on the Metropolitan Line and 483. Yep, not affiliated to BVETube, but friends. The class 150, was originally a FGW 150/1, now it is a class 150/2 in GWR and ATW, with animated doors, and redone sounds. It won't be released for a long time, but hopefully once the route has been relesed, I can give the go ahead for it. As for Graymac, I appreciate the praise coming from the developer of the route that first got me into OpenBVE, Cwm Twypsn. (I must say that, when I showed this to my Grandpa, he told me what each bridge was), it has an amazing likeness. I've been getting textures and reference pictures from Barry today, should be able to fix some issues by Wednesday. Again, thanks to everybody's comments! I know you didn't. I thought you were confusing this train for the converted 150 that you commented on earlier. I have fixed the pole issue and the staggered platform textures. The closer pacer does have a different number to the one in platform 3 and an appropriate destination. Track textures have also been changed. The next job is to add some form of foliage. Any thoughts? Looking pretty swell! Do those MSTS models have any transparency abnormalities by chance? No they don't actually. They did, but I got rid of them pretty quick. MSTS models / ACE textures require the transparency type to be set to Smooth, and preferably plenty of AF applied too, but other than that you shouldn't have major transparency issues. Viewing through two sets of windows will always be a little more problematic (the depth sorting in the graphics engine really needs someone to work on it), but other than that things really ought to work OK-ish. The next job is to add some form of foliage. Any thoughts? Take a look at some examples from other peoples routes. The trick is to get your own textures fixed up, then they won't look exactly the same as the others. There's plenty of tree pics on the internet and you can fix them up using Photoshop (or something similar). Avoid alpha transparency, it will cause problems. Thanks for the help on trees and bushes, graymac! I'm hoping to get some of the bigger aspects in place today and tomorrow, with some of the bushes coming in on the weekend. 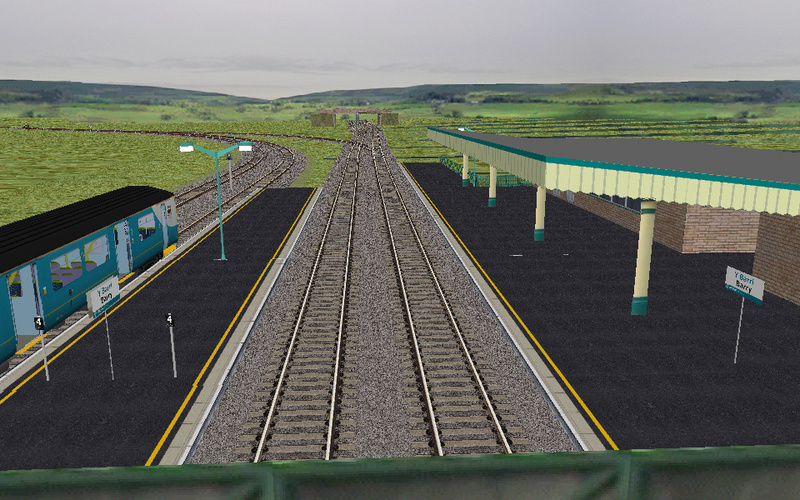 I've now added an idle sound for the static train, and a new abandoned platform model, for use at Barry Island. You'll find several plants there. Maybe you would even consider adding some of yours to this publicly usable pool? Thanks for the suggestion, Quork. I will bear that in mind, and I do hope to release some of my objects as 'free to use'. In other news, there is a big engine shed at Barry that is in joint ownership between EWS and the Barry Tourist Railway. Why, you may ask, would I tell you this? I am going to be taking requests for what trains should be at rest in the yard, you can put them in this thread. A small three car 83 Stock might be a a taster for the London crowd? I was thinking of a class 37 and a 66, with a heritage DMU as well. I hadn't thought of a class 47, but I'm liking it. As for a London Underground train, I'm not going to be that lenient sorry, as this route is based about 160 miles away from London, in the south wales coalfield. To clarify, this is what the siding looks like now (with 4 rusty tracks in the shed), but there will be more foliage and some smaller buildings in this area. Heh; I don't suppose in that case we could count a Class 230 as a train in the siding? As this is not a mainline passenger depot, this won't be entirely possible either, however, I will be making a class 230 that goes one step further, and is available to drive, seeing as TFW is going to be replacing the pacers with the 230. This will happen, provided I can have access to a decent D stock model (hint, hint).